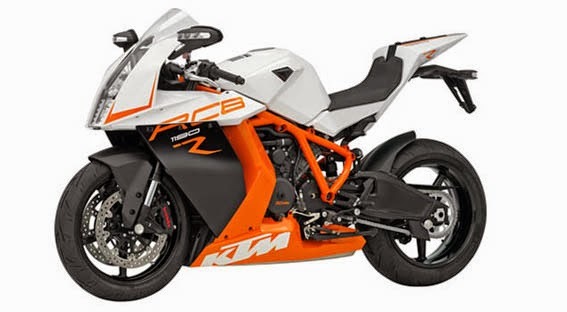 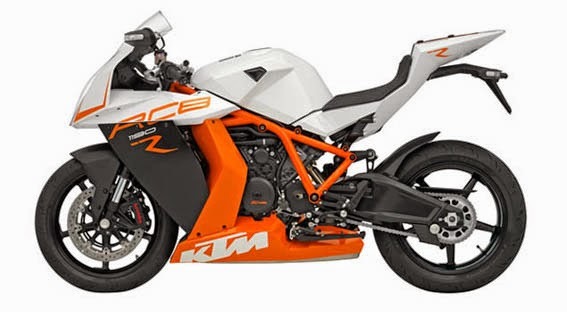 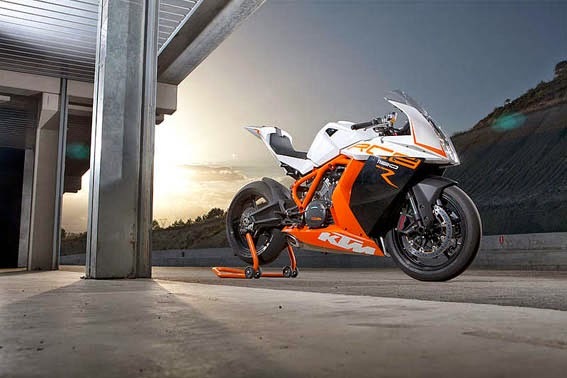 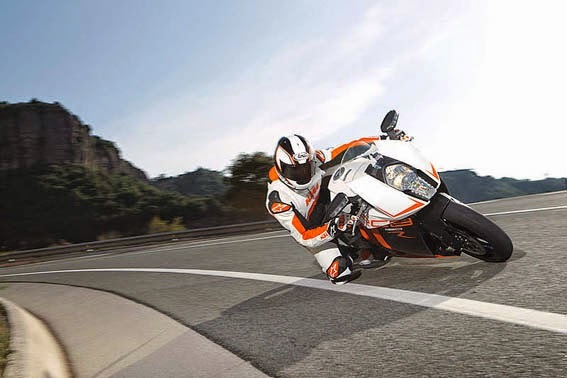 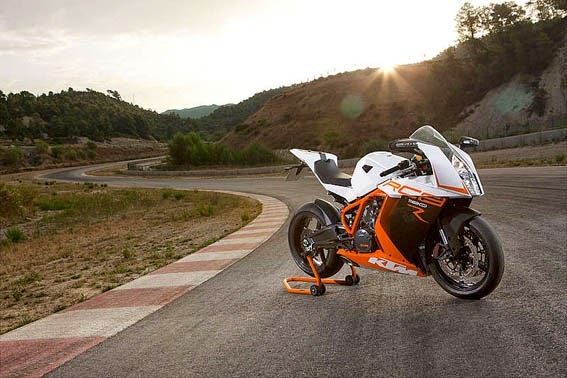 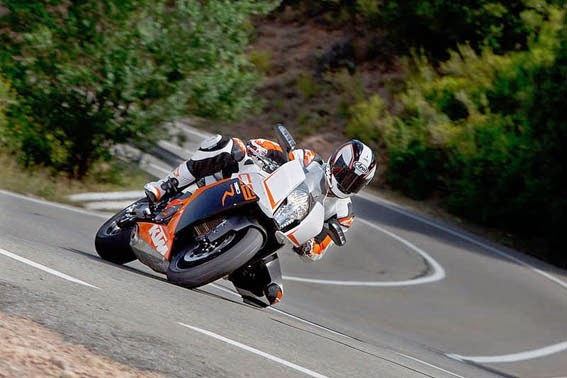 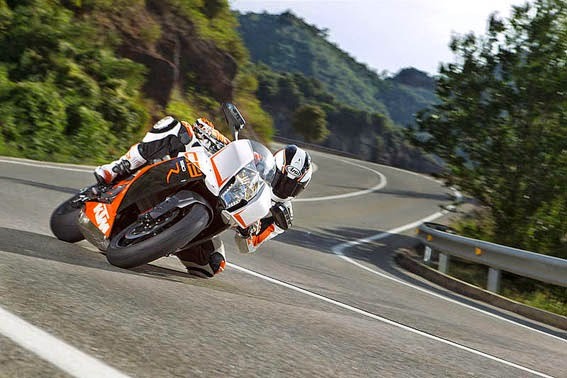 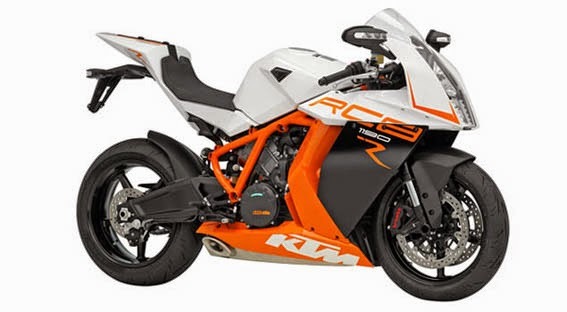 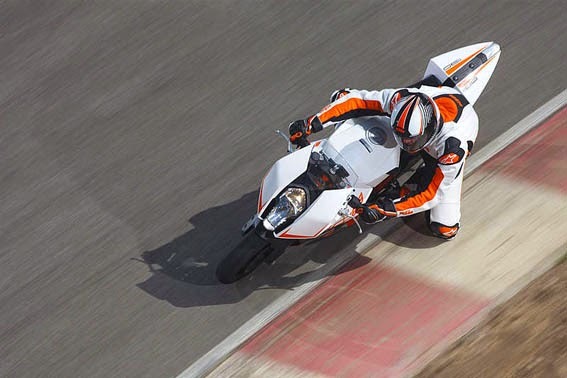 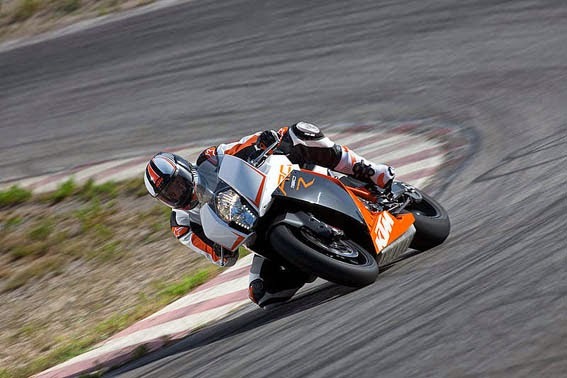 2014 KTM 1190 RC8 R Specifications - 2014 KTM 1190 RC8 R is equipped with a engine 1195 cc twin-cylinder with liquid-cooled capable of producing up to 173 hp at 10,000 rpm with a torque of 120 Nm at 8000 rpm. 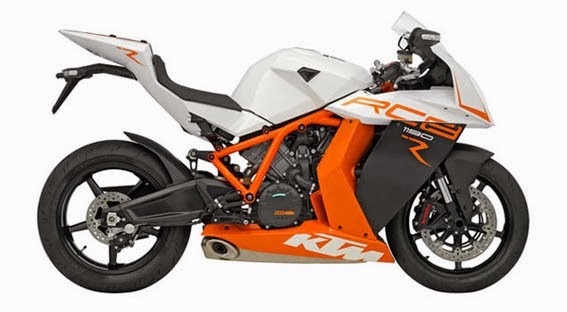 New 1190 RC8 R uses frames made from molybdenum metal with chrome coating. 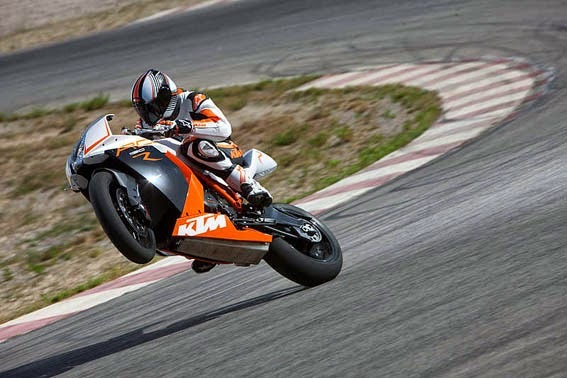 KTM 1190 RC8 R is also equipped with brakes Brembo 320mm four-piston caliper at the front, and single disc measuring 220 mm dual-piston caliper on the back.